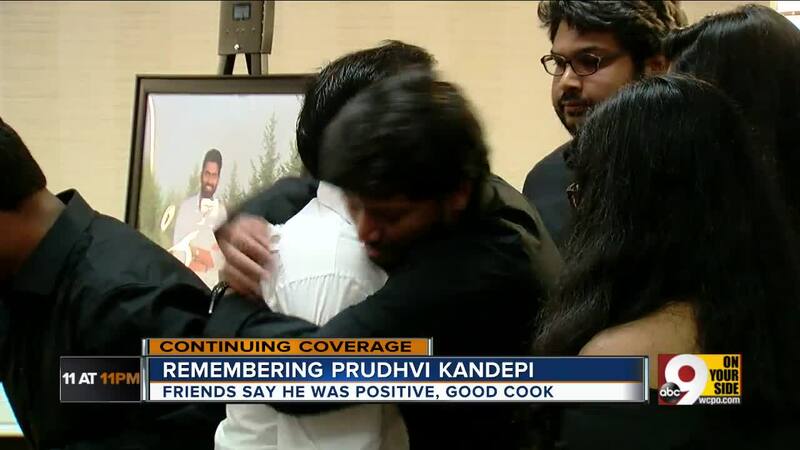 CINCINNATI – Longtime friends of Prudhvi Kandepi, one of the Fifth Third Center shooting victims, told WCPO he deserves to be remembered for more than the way he died. "You feel sometimes when you meet someone, you get a positive vibe from them. He was that kind of a person," said Yash Yeddulapalli. 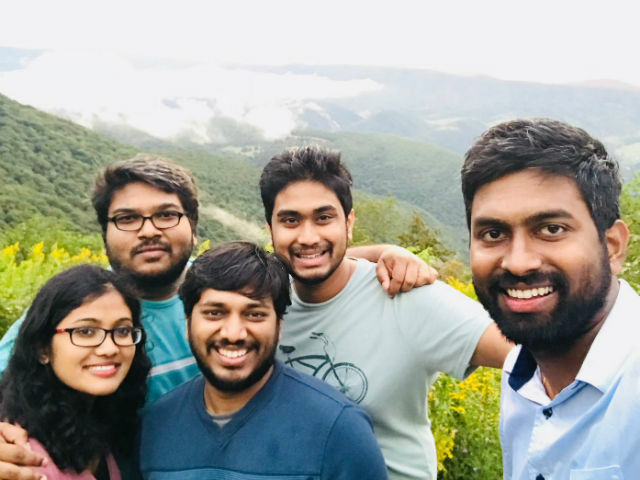 "He was the type of guy, he wanted to get everything right, so that he can make people happy around him," said Raghu Reddy. A large crowd gathered Sunday morning to celebrate the 25-year-old's life. Kandepi, born and raised in India, worked as a Fifth Third computer engineer and consultant and lived in Cincinnati the past two years. A GoFundMe account was set up for Kandepi’s parents and to cover expenses for returning his body to their home in India. In an update Saturday night, Yeddulapalli told WCPO that the Indian government has agreed to pay the cost of transporting Kandepi's body, so all the funds donated through GoFundMe will go to Kandepi's parents. More than $75,000 has been raised so far. Prudhavi was his family's primary caregiver, Yeddulapalli said. "He loved his family to the death. His mom, his dad and his sister were everything to him," Yeddulapalli said. "And then we came into picture after that - his friends." Kadepi's father is devastated, Yeddulapalli said. He got the news while traveling. "All he said was, 'I'm looking at my son's photo and then just staring at him,' " Yeddulapalli said. One of Kandepi's friends told WCPO his remains will be flown to New Jersey for another memorial service, then home to India. The Indian American Chamber of Cincinnati said it is trying to help, too, working with Mayor John Cranley and the Indian consulate general to assist Kandepi's family any way they can. Yeddulapalli said he roomed with Kandepi in college in India. Both came to the States for their master's degrees. Yeddulapalli said the two had been friends for eight years and had stayed close. He said they spent the Labor Day weekend with other friends exploring Shenandoah National Park in Virginia. "We just bonded together," Yeddulapalli said. "We're completely shattered and devastated in this moment. He did not deserve to die like that." Kandepi was one of three people killed Thursday morning during a random shooting in the lobby of the Fifth Third Center on Fountain Square downtown, according to officials. Also killed were 64-year-old Richard Newcomer and 48-year-old Luis Felipe Calderon. Two others, Whitney Austin, a Fifth Third Bank vice president, and Brian Sarver, were wounded and are being treated at the University of Cincinnati Medical Center. RELATED: Austin, shot 12 times, describes her horror.